Marlene Loznicka, Shoreline. 22 x30 oil, $1780. Nor’Easter II. Oil, 20″ x 24″. $2,800. 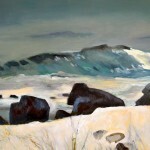 Marlene Loznicka was born in York, Maine, and now lives and maintains her studio on the rugged Pemaquid Peninsula. She studied art at the North Carolina State University School of Design, the La Romita School of Art in Italy, and at the Vermont Studio School in Johnson, Vermont. 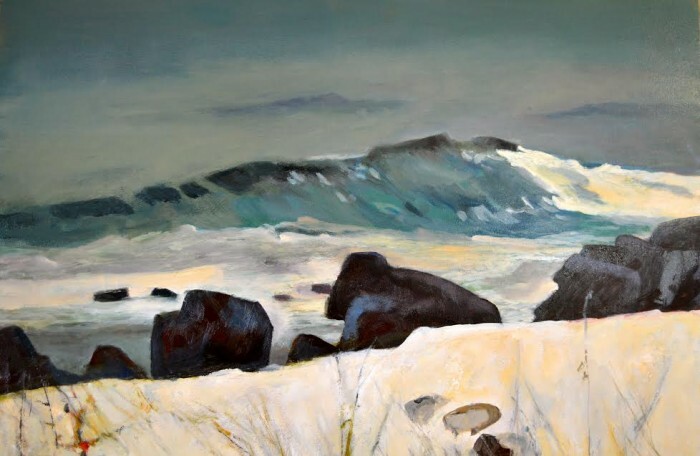 She has taught painting at the North Carolina Museum of Art, the Farnsworth Museum in Rockland, Maine, and has conducted workshops on Monhegan Island, Maine. 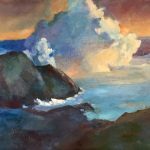 She is a signature member of the New England Watercolor Society, the Southern Watercolor Society and the Watercolor Society of North Carolina. 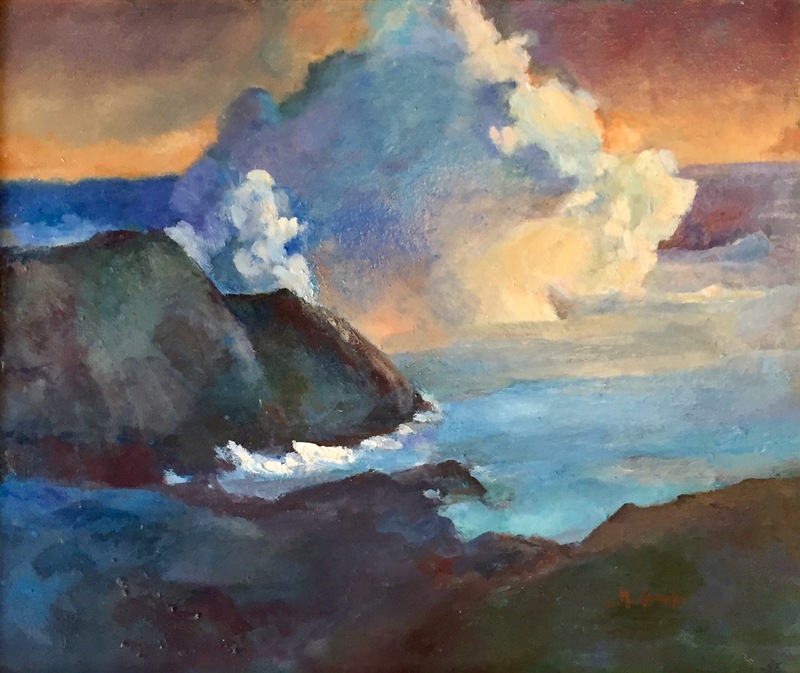 Her work has won numerous awards and is held in the collection of the Portland Museum of Art and many private collections.